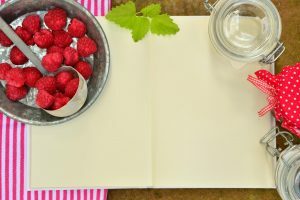 Food dehydration is the process of preserving and extending the shelf life of foods. Heat and air sources are used to remove the water content of foods which then prevents the growth and spread of bacteria. Basically, the goal is to eliminate moisture by using heat like electric or solar to dehydrate foods. 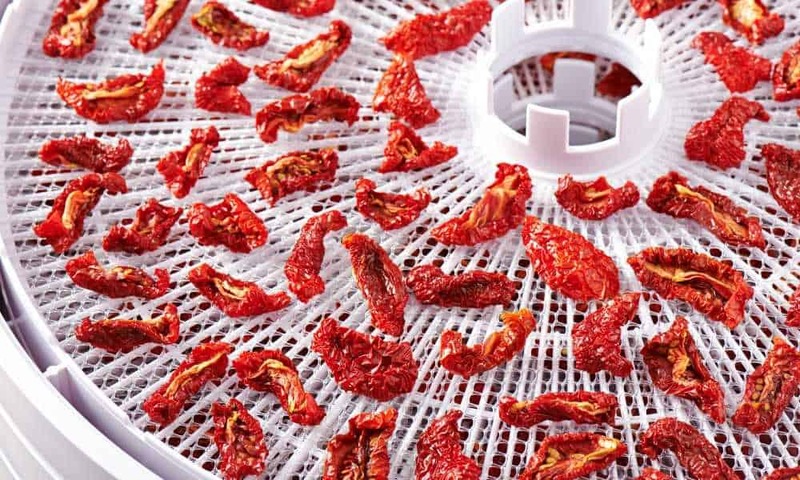 So, how does a food dehydrator work? Let’s find out! In the past, the practice of dehydration was done outdoors by allowing sliced foods to be placed under the sun. Over the years, there have been inventions which included more sophisticated components that allowed the dehydration process to be more effective and efficient. The modern ways of preservation are more predictable than the traditional ones since they have a consistent source of heat and temperature which are also evenly distributed, thanks to technology. The process of drying or dehydration makes the exterior hard, and so it serves as a shell not allowing bacteria to get in. There are different components of a dehydrator, and most of them include food trays, air vents, fans, and a heating element. Moisture is released into the dehydrator when the food is heated, and they get pushed to the vents by the fan to be released outside of the dehydrator. Trays come in different designs and sizes which can be stacked or removed. 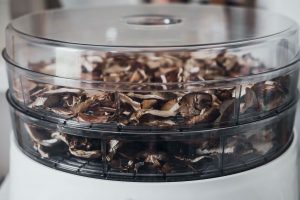 There are types of dehydrators with multiple levels which can be adjusted or rotated to allow changes in ventilation and to accommodate different sizes of food to be dried simultaneously. 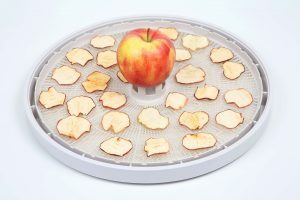 There are types of dehydrators which offer uniform drying, and there are types where you can place some foods near the source of heat if they require more temperature for drying. 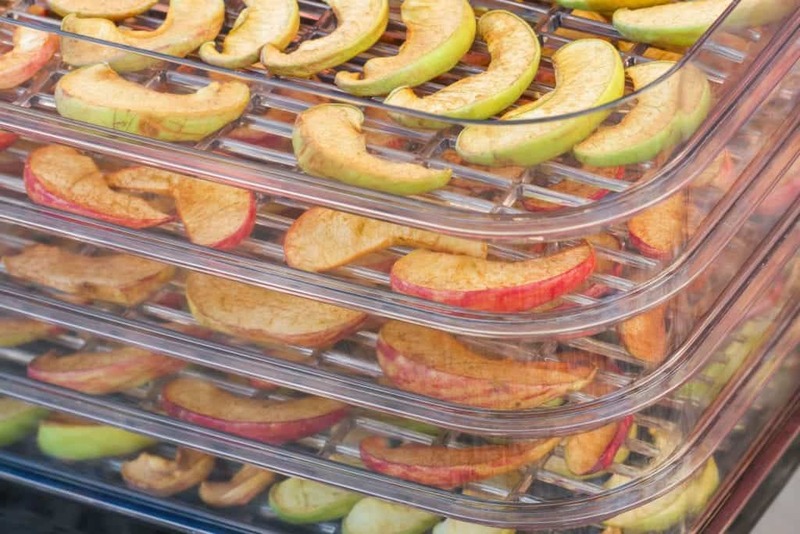 Some trays are circular, and they automatically rotate while dehydration is being done. The temperature depends on what food needs to be dehydrated. Meats will require a higher temperature in order to prevent the growth of bacteria compared to vegetables and fruits. It is very critical that the temperature is monitored because the food may have moist interiors and dry exteriors if heat will not be consistent or evenly distributed. Regulators allow you to set temperatures accurately and a manual or a guidebook is provided so you can determine what temperature is necessary on specific foods. Dehydration may not be successful if you do not follow the recommended temperature level on certain foods, so make sure to consider this very critical part. In order to remove the moisture content on foods, the heat needs to be released through a heating element. The duration of this dehydration process completely depends on the type of food being dehydrated—it could take minutes or even hours. Most of the units are transparent so you can easily check and monitor the foods. Some have built-in timers which automatically turns off once the process is complete. The fans are strategically situated at the top or at the back of the dehydrator for proper heat and air movement. They function as regulators of temperature too. 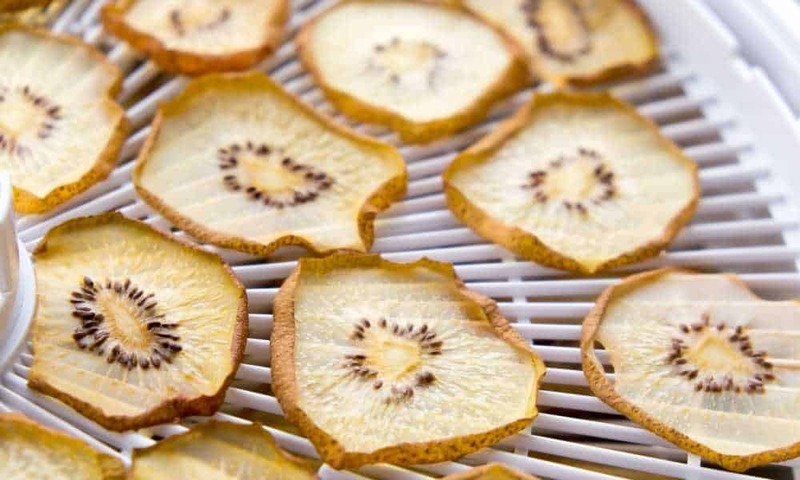 The heat is blown inside the dehydrator by its fans in order to remove the moisture which is then sent out through the vents. 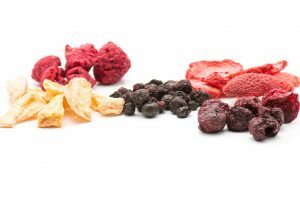 Some of the fruits which are commonly dehydrated are those we add on cereals or bread, and they are cherries, cranberries, pineapple, apricots, apples, grapes, bananas, and plums. 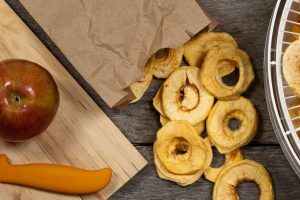 Meanwhile, we usually add dried vegetables to soups or other snacks, and they include root vegetables, potatoes, mushrooms, peppers, herbs, and chilis. Jerkies are those dried meats with seasonings like turkey, venison, beef, and buffalo. 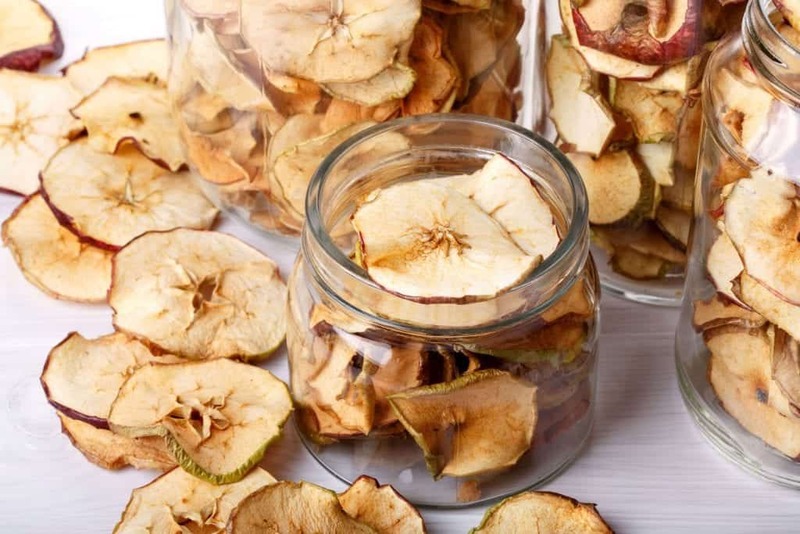 Dehydrated fruits are dry and leathery while vegetables may be tough and crunchy. Jerkies, on the other hand, can have chewy, leathery, and tough texture. These are the expected outcomes which you will achieve if the process is done correctly. 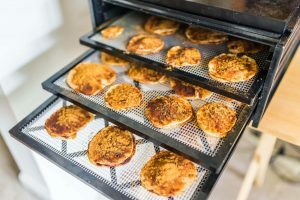 Unlike ovens and microwaves, dehydrators have been designed with a proper ventilation system which allows the exchange of moist and dry air to take effect through its components which ensures the removal of moisture from foods. If you want to save on electricity, you have the option to choose dehydrators which are sun-powered. You save on the electricity cost; however, it can be tricky because this type is unpredictable. You will also not be able to control the amount of heat and temperature which can ruin the process of dehydration. Too much heat can kill nutrients, while insufficient source can allow bacteria to stay because of the moisture. Regardless of the weather, you will be able to dehydrate foods whenever you want using electric-powered dehydrators. They come with regulators which will allow you to adjust the heat and temperature based on the kind of food you are drying. This type is reliable and is also easier and efficient to use. How does a food dehydrator work? Well, I bet your curiosity has now been satisfied. The facts stated above gave us an understanding of what the dehydration is for and why it is done. We can say that the process of drying can help us enjoy nutritious and healthy foods, so it is definitely a must-try. Although, we have to make sure to understand how a food dehydrator works in order to make the process successful. Also, we have to consider the types of food that we will preserve since the dehydration differs from one food to another. 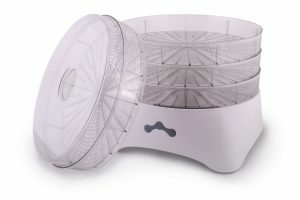 You can either decide to choose solar-powered or electric-powered dehydrators. If you do not plan on doing it on a regular basis, you can go for the solar unit, which is energy-saving. 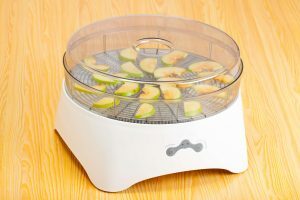 However, electric dehydrators are the reliable ones, and it is wise to use them if you plan on preserving your food consistently. They are easier to use since the heat and temperature levels can be regulated, allowing you to remove moisture successfully. You can also choose to dry your foods whenever you feel like doing it since they do not rely on solar energy.